Hourglass is a long-time favorite here at the studio and we’re thrilled to announce that we carry their newest offering- the Modernist Eyeshadow Palette! When they say palette they mean it. Unleash your inner artist and have fun playing with the amazing new colors. I love them because they work just as well for cosmetic experts as they do for the girl who might not be quite a comfortable with applying her own make-up. Each one comes with four great shades that all work together as is or that can be mixed, matched and blended to create a truly one of a kind look customized just for you. 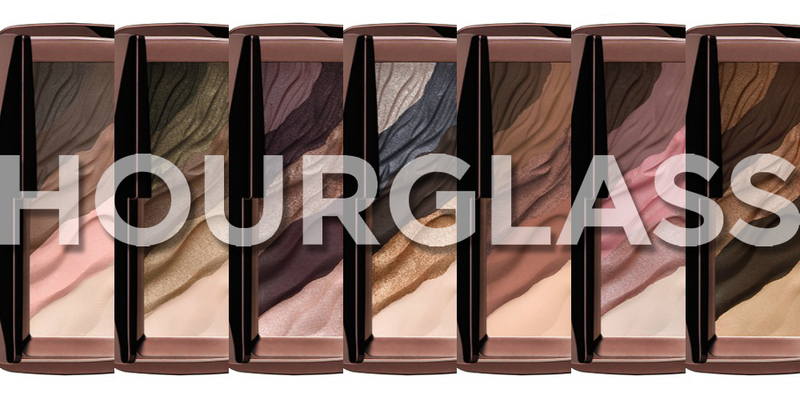 These are gorgeous creamy shadows that come in a variety of finishes all within the same palette. It’s one of the few products that works as well for a subtle day time look and can also be pulled out and used to create a dramatic evening eye as well. If you really want to pump up the drama these shades work just as well wet as they do dry. Because they are so creamy I recommend using soft strokes to create a sophisticated look. These shadows even do double duty as a wonderful smudge-able liner for the upper and lower lids. The new shadow palettes come in six different shades and so many of my customers have fallen in love with them. It’s truly a line of endless possibilities. And as always, if you want to really give yourself a professional polished look Katrina Hess Studios can help show you how to apply your new shadow for the best blend possible and create a full face to match.